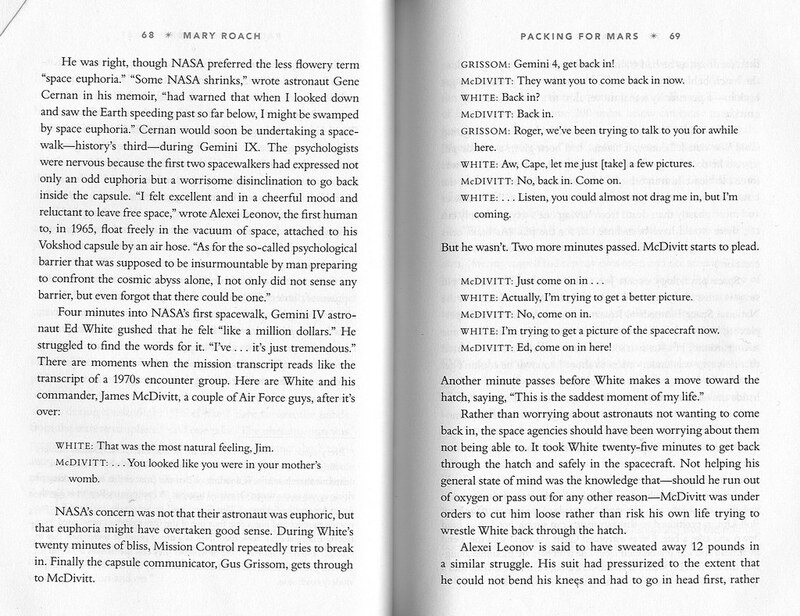 Kayak Angst, a distinctive turn of phrase, is a phenomenon I first read about in Mary Roach’s book, Packing for Mars. She refers to it in the context of “space euphoria” in astronauts, “the breakaway effect” in pilots, and “rapture of the deep” in divers, which are each a version of invulnerable calm that can overcome those who wear a pressurized suit to explore an extreme, expansive environment. Kayak angst has been described among the Inuit of Greenland as a condition that overcomes hunters out on the water alone. They have the sensation that “their boat is flooding or that the front end is either sinking or rising up out of the water.” In contrast to the euphoria American astronaut Ed White experienced during his first Gemini 4 spacewalk, kayak angst seems to be more of an anxious and panicked reaction to traveling alone through the open expanse of the water. I find all of these responses extremely interesting.